Requirements:Compatible with iPhone, iPod touch, and iPad.Requires iOS 4.2 or later. Secure your iPhone, iPod and iPad albums, photos and videos with Dot Lock Protection. 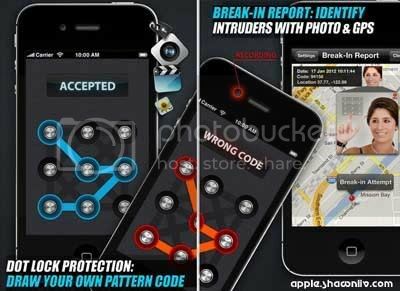 Featuring exclusive Dot Lock or Key Pad lock screens and break-in reports with intruder’s photo, date, time and GPS location on the map. – App cannot delete photos/videos from Photoroll automatically after importing; you will have to do that manually. All files are securely stored in the App and remain completely private and confidential.